CHRIS-CRAFT 27 Runabaout. 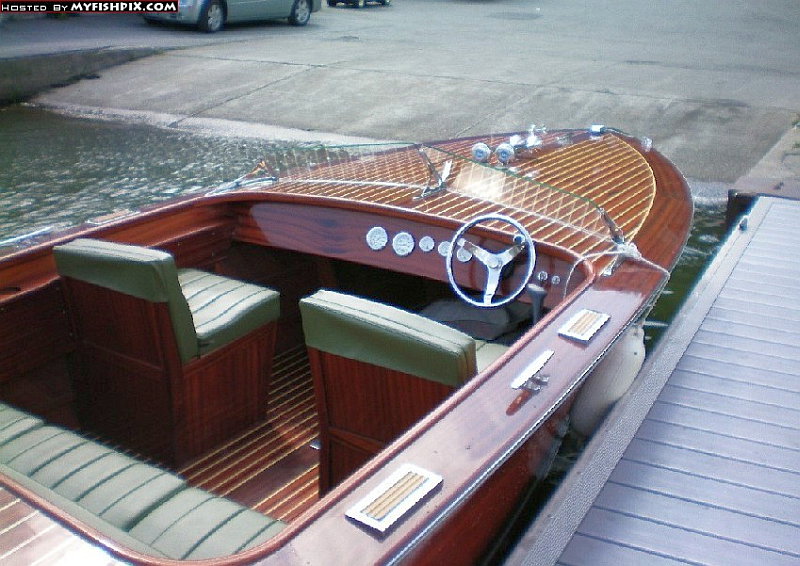 This is a Chris Craft 27FT Dual Cockpit Runabout Reproduction! 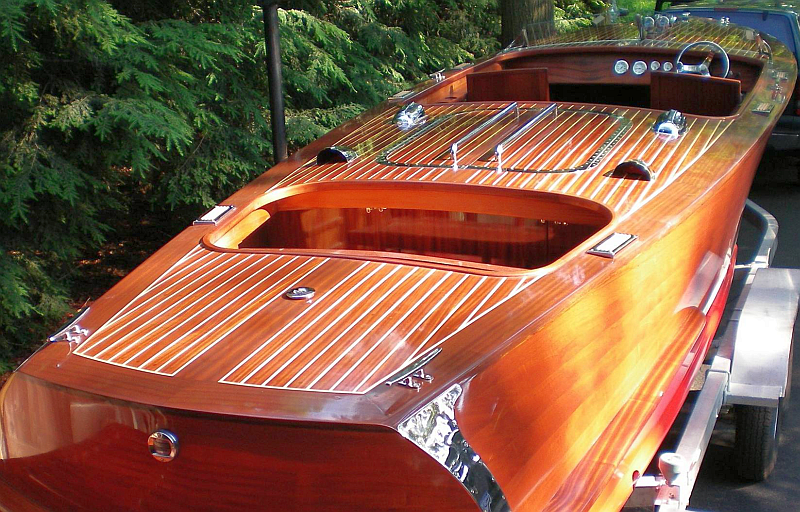 She features the ultimate classic lines enjoyed by all generations. 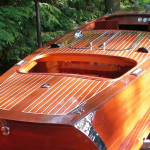 Those lines, combined with her modern power, controls, gauges, electrical and mechanical systems, allow you to enjoy all her timeless beauty with much, much lower maintenance. 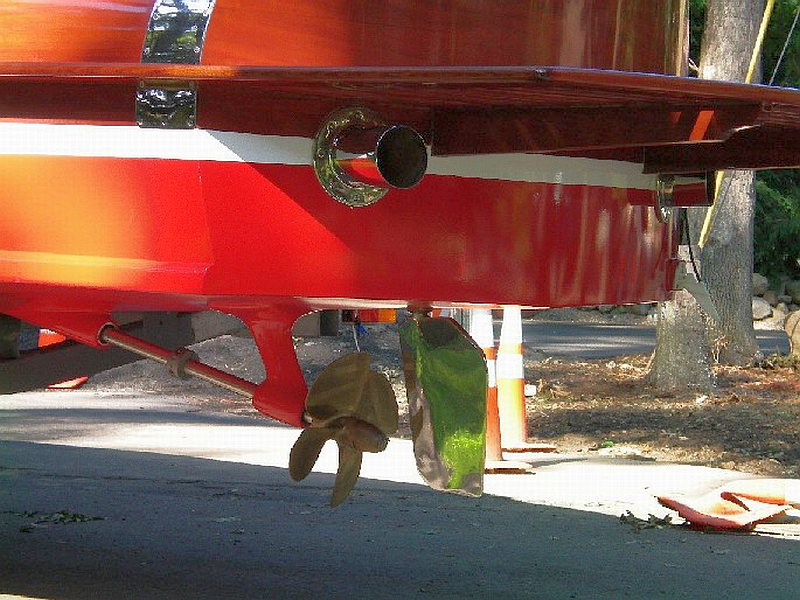 Additionally, her triple planked bottom is covered in fibreglass. 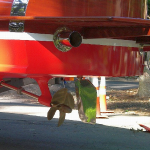 Now you never have to worry again about swelling your hulls bottom for watertight integrity. 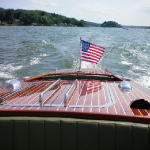 She is powered by an Indmar 325 hp inboard with only 10 hours of demo use! 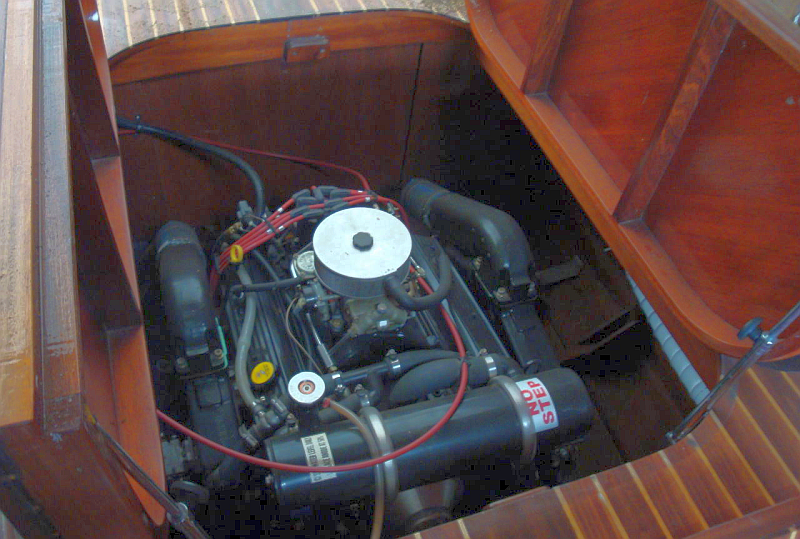 This is one of the finest power plants available today and is coupled to a Hurth 1-1 gearbox. 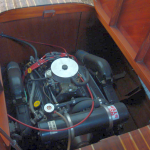 Built on a marinized Chevy 5.7L block, she is also fresh water cooled for optimum performance and longevity and features an industry leading …3 year warranty… to the original purchaser. 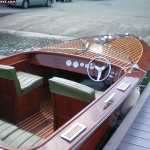 Built with solid Mahogany plank with ash inlay decking. 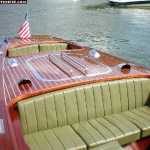 The hull bottom is cold molded triple planked marine ply with E-glass finished bottom. 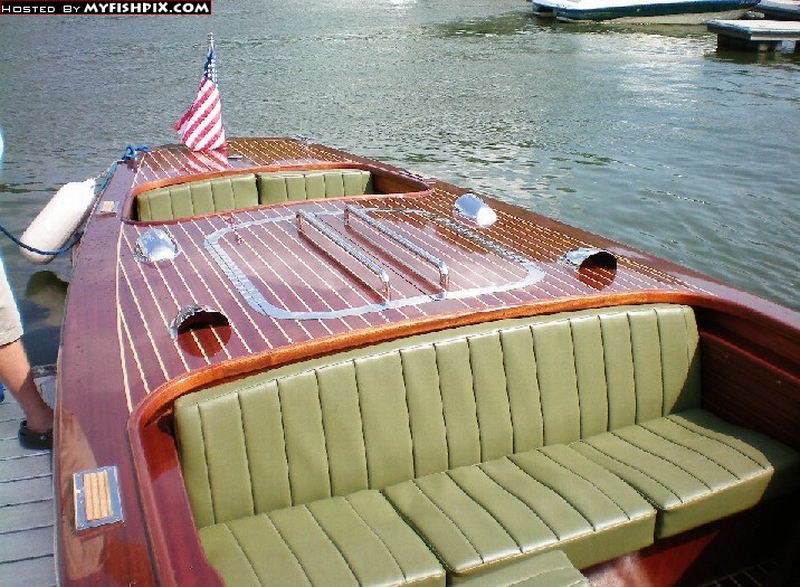 She also has mahogany vacuum bagged to the cross linked double planked hull sides. 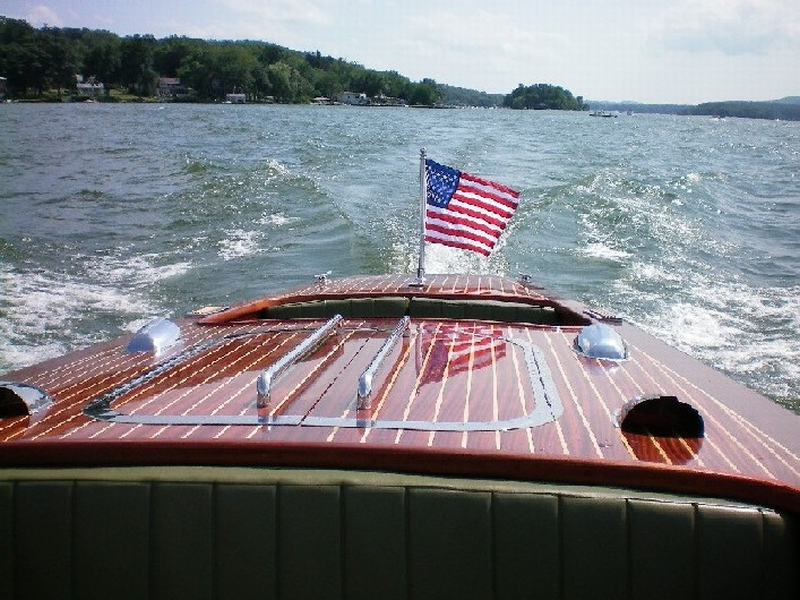 She features a hand laminated mahogany swim platform to further enhance her functionality. 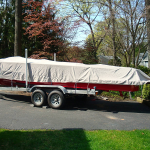 Eight coats of a 2-part urethane finish completes the package, which was then had rubbed to a deep mirror like yet exceptionally durable exterior finish. You have to see her in person. She will stop you in your tracks. 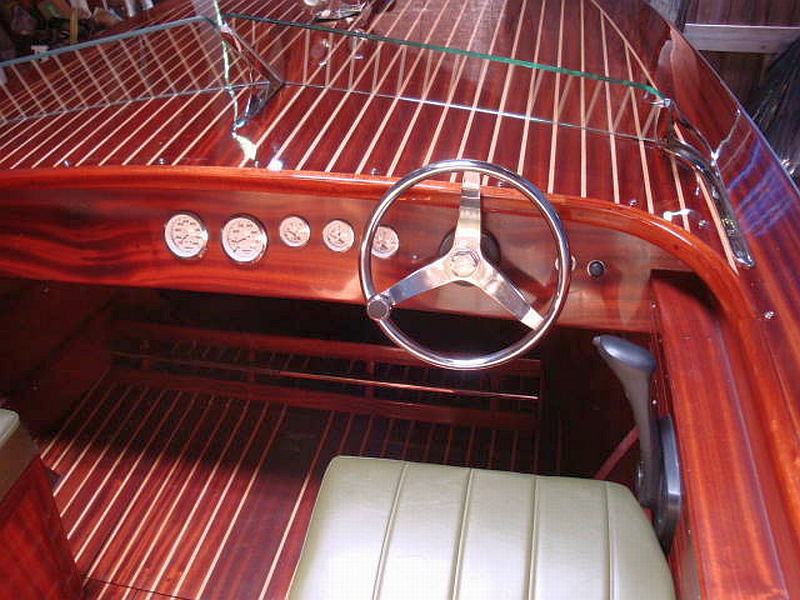 The old world craftsmanship is evident everywhere, from stem to stern. On our demo rides kids were running to the end of their docks with cameras in hand. Take the keys, start her up and the sounds emanating from her dual exhaust will stir your heart, a deep low growl hinting of the great performance within. 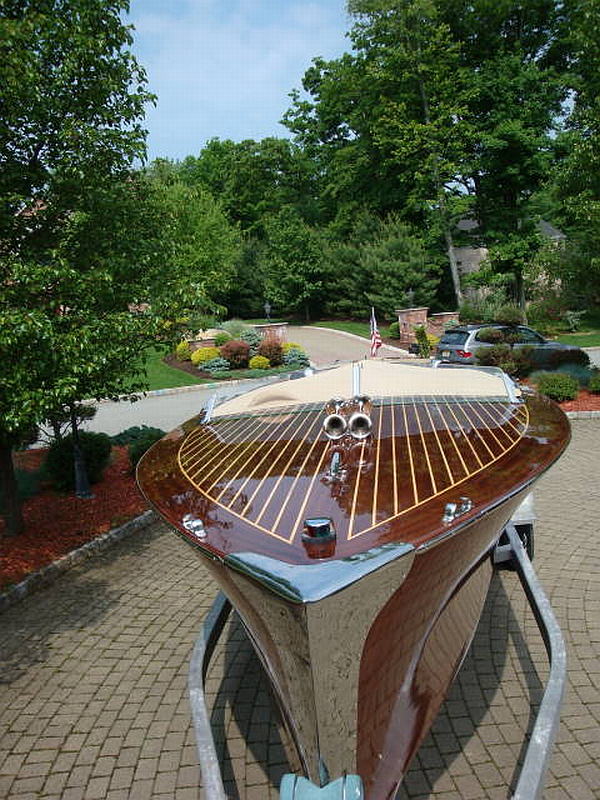 She is turnkey ready and waiting for a new owner. 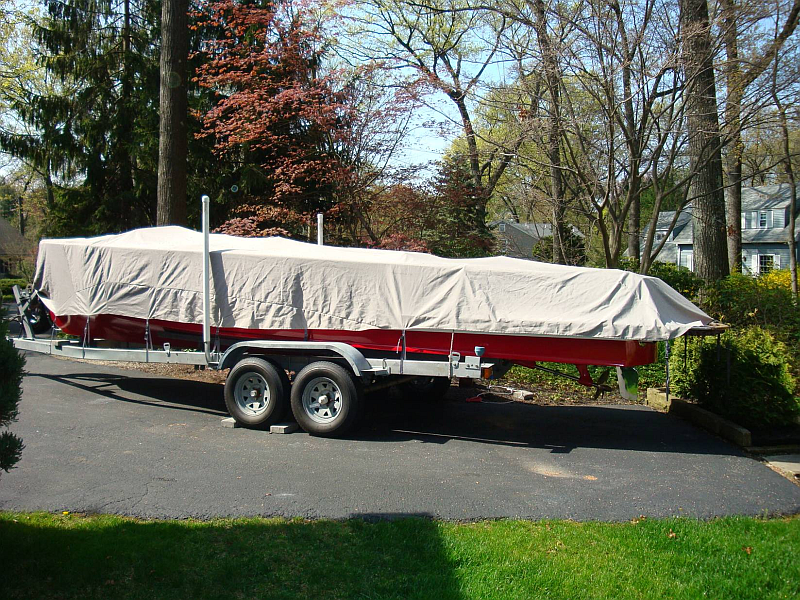 Package includes a full custom cover and custom sunbrella cockpit covers. 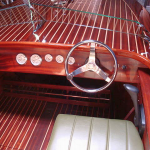 Compare her to a Hacker or Gar Wood at more than twice the price, there is no better value in the marine marketplace today.